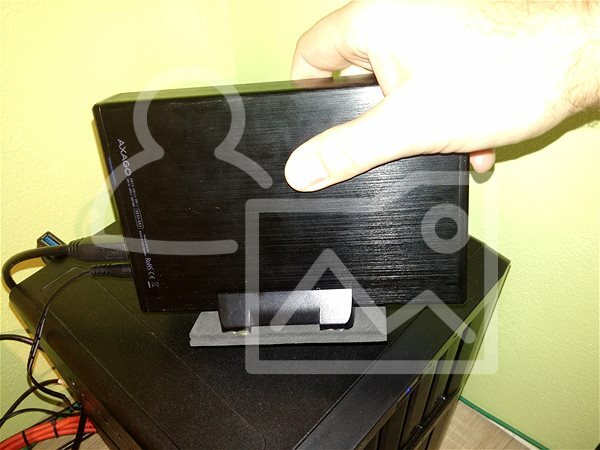 The AXAGO EE35-XA3 ALINE compact external box is designed for 3.5" SATA drives. The aluminium cabinet guarantees not only mechanical resistance and excellent heat dissipation but thanks to the brushed surface and elegant style. The box can be used horizontally or with a height stand. 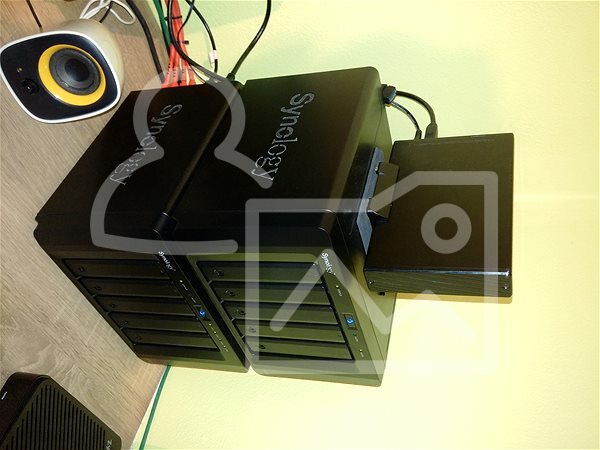 Easy layout of the hard drive and automatic installation can be performed by the complete layman. High- speed USB 3.0 connects to your computer and you can use energy-efficient HDDs with an external power adapter. 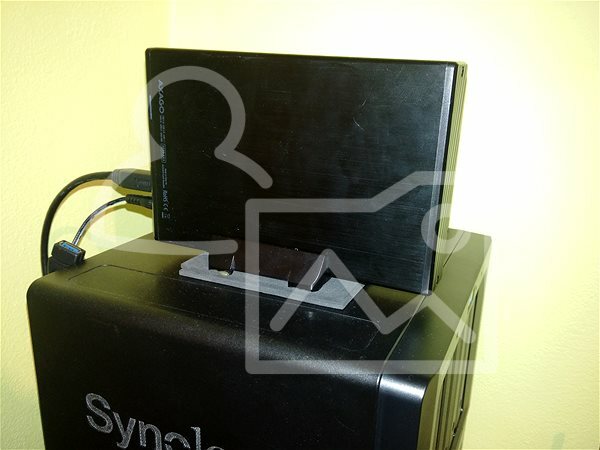 The box can be connected while the computer is running, and no drivers are required for commonly used operating systems. The connection and operation of the disc are given by a non-glare blue LED. Compatible with USB 3.0, backward compatible with USB 2.0. Supports transfer speeds of 12/480/5000 MB/sec (full/high/super speed). Support for 3.5" SATA III/II/I disks of all capacities. Compliant with Serial ATA 2.0 specification (SATA/300), transfer rates of up to 3 Gbps (300 MB/sec). Compliant with Serial ATA 1.0 specification (SATA/150), transmission speeds up to 1.5 Gbps (150 MB/sec). The total bandwidth / transmission rate of the box is given by the SATA/300 interface used (theorem. 3 Gbit/sec). It is possible to connect your device while running with Hot Plug support. Connect via "big" USB 3.0 type B female connector. USB 3.0 USB cable type A male/USB type B male, 80 cm included. A decent blue LED indicating connection to the computer's USB port (permanent light) and data transfer (blinking). Power supply via an external AC adapter 12V - 2A, with an integrated two-pin plug and a cable length of 150 cm. Power switch on the rear panel of the box. The sturdy box body is a cast aluminum die, the plastic box top. 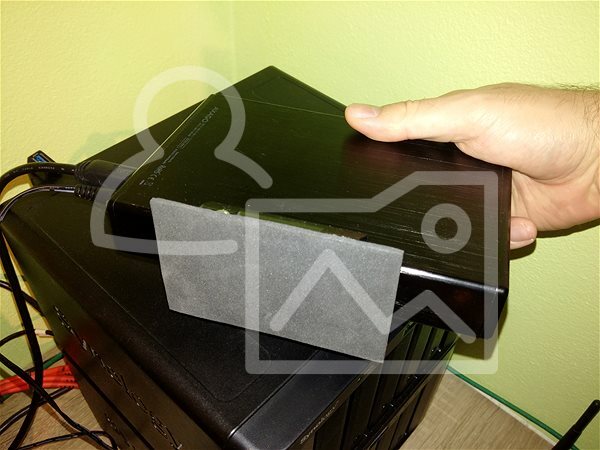 Simple disk mounting - the guides are mounted on the disc, the disc connects directly to the motherboard SATA connector, slides into the box body, and attaches the front panel to the two screws with a screwdriver. Compact box dimensions 180 x 120 x 32 mm, AC adapter dimensions 74 x 36 x 91 mm (incl. fork). External box weight 244 g (without cables and disc), AC adapter weight 128 g (incl. supply cable). MS Windows XP/Vista/7/8/8.1, Windows Server 2003/2008/2012 and later (supported 32- and 64-bit versions), Mac OS X 10.x and higher, Linux 2.6.X and higher. Note:: Drivers are included with supported operating systems and installed completely automatically. No other drivers need to be installed and are not even available. External box, USB 3.0 cable length 80 cm, mounting rails, screws and screwdriver, stand for standing box operation, 12V/2A power adapter, multi-language manual. 120 mm (12 cm) Done! 180 mm (18 cm) Done! 32 mm (3.2 cm) Done! 244 g (0.24 kg) Done! For shipping to other EU countries visit this page AXAGO EE35-XA3 ALINE. Für Versand nach Deutschland, besuchen Sie bitte Axago EE35-XA3 ALINE. Chcete doručit zboží do Česka? Prohlédněte si AXAGON EE35-XA3 ALINE. Chcete doručiť tovar na Slovensko? Prezrite si AXAGO EE35-XA3 ALINE. Für Versand nach Österreich, besuchen Sie bitte Axago EE35-XA3 ALINE. Magyarországra történő kiszállításért tekintse meg ezt a termékoldalt: Axago EE35-XA3 ALINE.